CHICAGO – One of the hottest new shows on HBO is “Crashing,” a quasi-autobiography of the star of the show, comedian Pete Holmes. Last week, at the Chicago International Television Festival, Holmes stopped by and presented the latest episode. 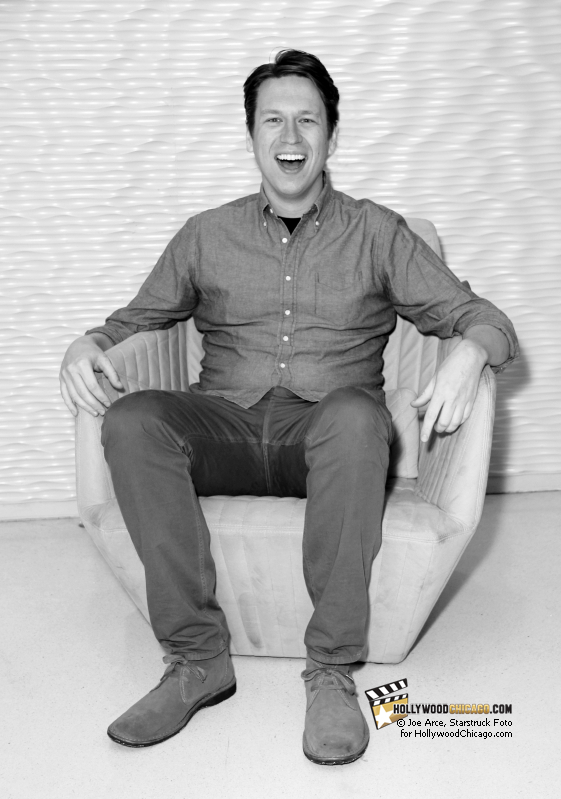 Pete Holmes was born in Massachusetts, and started doing improvisational comedy in college. After he graduated, he started doing stand-up comedy, and chronicles that process in “Crashing.” He also did a couple years (2013-14) as a talk show host, immediately following Conan O’Brien on the TBS Network. Photographer Joe Arce of HollywoodChicago.com offers this Exclusive Portrait of Pete Holmes at the Chicago International Television Festival on March 22nd, 2017. Cinema/Chicago is the organization that facilitates the Chicago International Television Festival and Film Festival in October. Their next event is the CineYouth Festival on May 4th through the 6th, 2017. Click here for details. Pete Holmes’ “Crashing” series in on the HBO network. Check listings for dates and times.